Of all the nations and ethnic groups on earth, none has been more. hated and persecuted than the Jewish people. Yet, because of God’s grace and mercy, they have remained intact. But all those other nations that came against her are not around anymore. 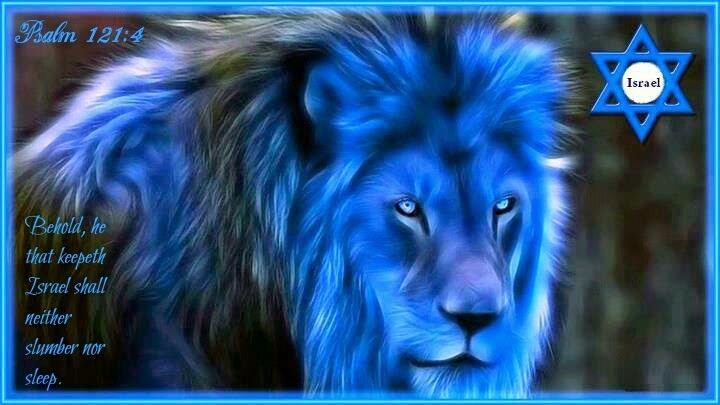 Don’t ever try and mess with God’s people thinking you can get away with it, ESPECIALLY ISRAEL! God’s beloved Son, Jesus, came as a Jew. They are His natural family and are still beloved for the Father’s sake, though many of them do not yet know their Messiah. Nevertheless, He will NOT put up with any nonsense where they are concerned. Just in case there are any skeptics out there, this is an actual event that happened in 1973. It is one proof among many others that, OH YEAH, God protects His people! 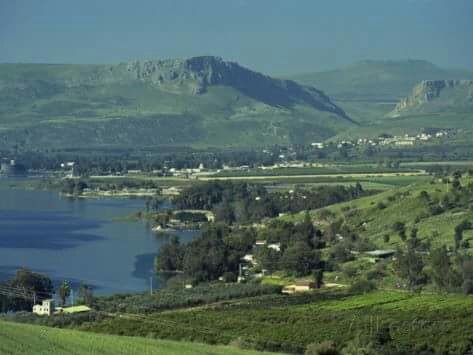 The regions of Zebulun and Naphtali make up the larger region of Galilee. It is a very beautiful area. Jesus Himself spent much of His time there and, in fact, preformed 3/4 of His miracles here. All the disciples, with the exception of Judas, hailed from here. In 1973, on their holiest day of the year: Yom Kippur (Day Atonement) Israel was invaded by Syrian tanks. An attack by anyone on that day was the farthest thing from their minds. For some strange reason, though, the Syrians stopped their relentless advance as they came into the beautiful region of Galilee. Inexplicably they stopped just long enough to give the Israeli military time to gear up and respond; and respond they did! They not only won the war, they got back MORE LAND THAN THEY HAD BEFORE! After it was all over, the Syrian commander was asked why his troops stopped advancing. His answer took everyone by surprise. He said that they were winning anyway so they figured they could stop to admire the beauty of the area. There were others, however, who saw something else entirely. The Syrians had much greater numbers and were better armed than the Israelis, who were not only wounded, they were running low on ammo. Inexplicably, the advancing Syrians ceased firing and threw down their weapons. Some lay face down on the ground. They shouted in Arabic, “Salam: Peace!” allowing the Israeli rag-tag forces to capture them without any fuss. You see, the Syrians saw something the Jewish fighters did not: An army of warrior Angels! This is not the first time God has defended Israel with angelic armies. Remember what happened in 2 Kings 6? The king Syria sent a great army to capture Elisha and they had surrounded the city where he was. His servant was terrified, but Elisha sais something amazing in verse 17: “Elisha prayed, and said, “Lord, I pray, open his eyes that he may see.” Then the Lord opened the eyes of the young man, and he saw. And behold, the mountain was full of horses and chariots of fire all around Elisha. How awesome is our God that He not only uses the beauty of His land to protect His people, He sends His own personal army! 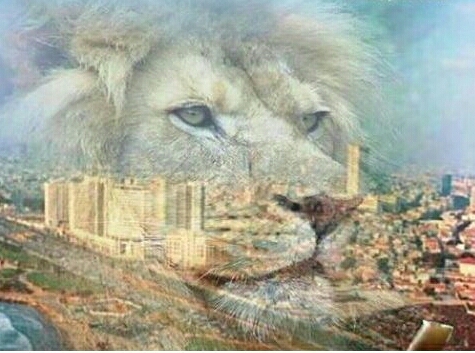 The Lion of the Tribe on Judah watches over and protects His people! That includes us, Church! Behold, greater is He that is with and in us than he that is in the world! The message is clear: HANDS OFF GOD’S PEOPLE! Touch them at your own peril. Is that a threat? You betcha!… and a promise. Our enemies may come at us one way, but flee before us SEVEN WAYS. In other words, they’ll be completely defeated with MANY CASUALTIES! What an amazing display of God’s goodness and protection in the true story of Galilee and the Yom Kippur war!